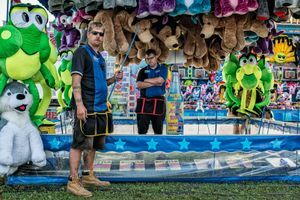 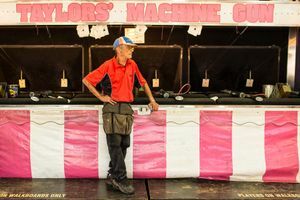 Over the last few years, I have been photographing the carnies who work the games at county fairs in upstate New York. 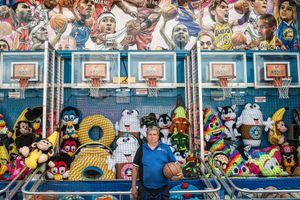 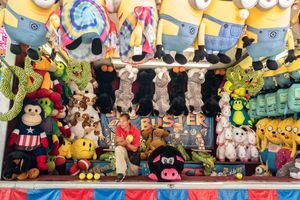 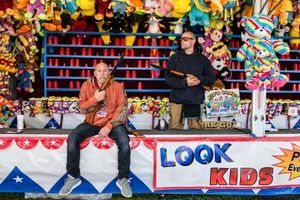 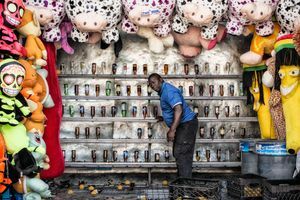 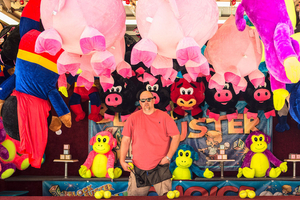 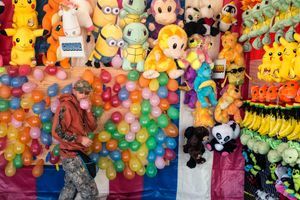 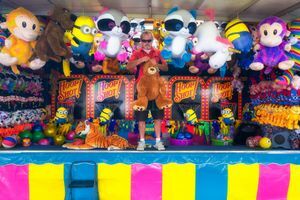 In this series I have focused on the art of the con: the spectacular arrangement of stuffed animals and figures, signs promising hot action and easy wins, and, of course, the blinding display of color that dwarfs players and carnies alike. 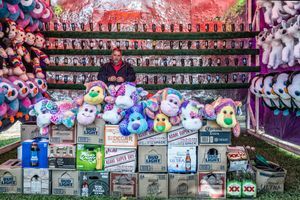 This series was mostly photographed the early morning when the carnies are unfolding their trailers, arranging the prizes, and looking forward to another day on the county and state fair trail that, for many of them, stretches north to south, coast to coast, from the spring through the late fall, season to season, often for decades.